Amanda is a Senior Litigation Executive within a leading Lincolnshire law firm, Hodgkinsons Solicitors Skegness. Here is an insight into Amanda’s expertise. £50,000.00 compensation for a client who was involved in a Road Traffic Accident. £38,000.00 of damages via the CICA for a client who was the victim of an unprovoked attack. 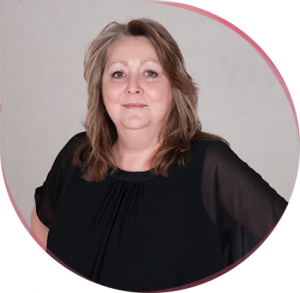 Amanda is renowned for her exceptional rapport with her clients who frequently recommend her services to others. Below are an example of the many excellent testimonials Amanda has received. “Thank you for keeping me informed as the matter progressed on a regular basis. I cannot fault the service I was provided with. Thank you too for settling my claim and ensuring I received treatment before doing so.” – Mrs D, Boston. “Amanda was excellent to work with on my claim. She was caring, helpful and a credit to Hodgkinsons. I would recommend Amanda to all.” – Mrs C, Skegness. If you have been injured in an accident which was not your fault and have suffered as a result of this, you may have a claim for compensation. Here at Hodgkinsons our Personal Injury Department represents clients in Skegness, Boston, Sleaford, Lincoln, Scunthorpe, Grimsby, rural Lincolnshire, across the East Midlands and the UK. For a free case assessment call Hodgkinsons on 01754 897150 where Amanda will be happy to help.